Situated in the north easternmost corner of Argentina in the province of Misiones and spilling across the border to Brazil is the spectacular Iguazú Falls. Also known as Iguassu Falls and Iguacu Falls, no matter what you decide to call it, there is no denying that this is one of the world’s most spectacular waterfalls. To put it into some kind of perspective, Iguazú Falls is four times as wide as Canada’s Niagara Falls. Making it so special is the fact that it is not just one waterfall but a collection of 275 individual cascades that line a 1.7 mile (2.7 kilometer) wide horseshoe-shaped gorge. Spanish explorer Álvar Núñez Cabeza de Vaca became the first European to find the falls. He arrived in 1541, during his quest to reinstate the then settlement of Buenos Aires. The first inhabitants of the region were the Caingangue people, a native group that resided in the southern provinces of Brazil. Then came the Tupi-Guaraní people. A tribal legend states that when a woman and her lover tried to escape along the river a god cut the river in half thus forming the falls and punishing the lovers. The name Iguazú comes from the Guaraní word for big or great water. Iguazú Falls is a UNESCO World Heritage Site and in 2011 it became part of the New Seven Wonders of Nature. It is part of protected rainforest ecosystem and split into two national parks: Parque Nacional Iguazú (Argentina) and Parque Nacional do Iguaçu (Brazil). Experiencing the noise of the rushing water and admiring the sheer drops of up to 80 meters (262 feet) high are obvious highlights. However, the falls and park are also home to over 2,000 plant species, around 450 bird species and abundant mammals. In fact, the region provides a natural habitat for half of Argentina’s birds, including parrots and toucans. Some say that it is possible to see jaguars and pumas but you’d need to be extremely lucky. Nevertheless, sightings of crocodiles, otters, raccoons and monkeys are common. Iguazú Falls and its surrounding region has a subtropical climate, which produces high year-round temperatures. Arguably the best time to visit is in spring or fall. The months of September to November are a particularly good time as they offer comfortable temperatures, especially if you plan to walk a lot. From mid-December to February temperatures are extremely hot and humid. This is also when Argentines and Brazilians take their holidays so the region gets overcrowded and accommodation prices increase. During the southern hemisphere’s winter months water levels are traditionally lower. If you do come at this time you’ll benefit from fewer tourists and lower temperatures. Barring a severe drought, there is never really a bad time to come. Whether arriving from Argentina or Brazil, getting to Iguazú Falls is easy. Both Puerto Iguazú in Argentina and Foz do Iguaçu in Brazil are tourist friendly and set up to accommodate the thousands of annual visitors. Due to its position on the Argentine-Brazilian border, the falls are often either the first or last point of call for travelers in Argentina. This makes for a lasting impression regardless of whether you are starting or finishing your discovery of the country. Buses from Buenos Aires depart regularly from Retiro station with a journey time of around 18 hours. A result of the falls’ popularity is that these buses are some of the most comfortable available in the country. If you are pushed for time then you can fly to airports on both sides of the waterfalls. The flight time is around two hours. It is important to remember that the Parque Nacional Iguazú sits on both the Argentine and Brazilian sides of the Iguazú River. Allow at least two days to visit the waterfalls and try to visit both sides because each offers a different perspective of the natural wonder. On the Argentine side you can explore walking trails that weave between the park’s tropical rainforest and experience the full power of the rushing waters. The Brazilian side offers panoramic and full frontal views of the various waterfalls. Upon entering the park you will find the Centro de Interpretacion, or Visitor Center. Pick up maps of walking trails and take time to read the displays that tell about the history, climate and geology of the waterfalls. The best way to discover the falls and park is on foot and a guide is not necessary. However, English-speaking guides are available at the Visitor Center for both individual and group tours. Jump on the Jungle Train to the Falls Station, which marks the beginning of two walking trails: Lower Circuit and Upper Circuit. The park entrance fee includes unlimited rides on the train. If you prefer to walk then take the Sendero Verde footpath that leads to the circuits from the Visitor Center. The Lower Circuit offers the best views of the waterfalls via eight designated lookouts, including the Dos Hermanos (Two Brothers) and Tres Mosqueteros (Three Musketeers) falls. The circuit is just over one mile and takes around two hours to complete. Extend the walk by climbing down a staircase at Salto Bossetti falls to a small pier. From here, catch a free ferry to San Martin Island. Enjoy panoramic views, sunbathe on the beach or swim in the river. Don’t miss the chance to ride in a speed boat directly beneath one of the falls. Trips depart from the pier and incur an additional fee. The Upper Circuit is only half a mile long and takes just over an hour to walk. It crosses the top of the canyon and allows you to look down over the edge of the falls, some of which are 60 meters (197 feet) tall. You’ll also get the chance to discover the park’s flora, including cacti and orchids. The circuit is best in the morning or close to sunset, when rainbows appear over the river. After exploring the circuits, continue walking or catch the train to the Devil’s Throat Station. From here it is a 1,200 meter walk to the biggest attraction on Iguazú Falls, La Garganta del Diablo (or Devil’s Throat). A lookout area grants the opportunity to watch the water rush from the river and down an 80 meter (262 feet) high sheer drop. En route to the fall, keep an eye out for birds and crocodiles resting in the river below the walkway. Located adjacent to the Visitor Center and Falls Station are cafés and snack shops so you’ll be able to purchase food and drink. Alternatively, bring your own packed lunch and enjoy a picturesque picnic. If you have the time to return to the Argentine side for a second day be sure to walk the Sendero Macuco (Macuco Nature Trail). This 3.75 mile (6 kilometer) round trip puts you in direct contact with the park’s flora and fauna. It is far quieter than the Upper and Lower Circuits and if you stand silent you’ll be able to hear the call of over 450 species of birds. The trail runs from Central Station to a waterfall on the Arrechea stream. You can swim in a pool at the waterfall so remember to pack a towel and swimsuit. There are no shops on the route so bring your own water and snacks. When visiting for a second day, ask at the Visitors Center about discounted admission fees. Iguazú Jungle is a tour agency operating from inside the park. It offers 4X4 drives, speed boat trips and walks. This side of the park is open daily from 8 a.m. to 6 p.m. Check the official Iguazú Argentina website for admission fees and the train departure times. With money to burn, a night in the Sheraton Iguazú Resort and Spa offers rooms with falls’ views, a rooftop terrace and private access to the park. However, one night here could be the equivalent of a one week’s living expense for a backpacker. Catch a bus from Puerto Iguazú station to visit the Brazilian side of the falls. Buses stop at the Argentine border checkpoint and will wait whilst your passport is stamped. Buses then continue to the Brazilian checkpoint but don’t stop automatically. Make sure to tell the driver that you need to get off. If the bus has already left, just walk to the main road where you can jump on a bus to the park entrance. If you are an Australian, Canadian, or US citizen then you might have to pay a reciprocal visa fee when entering or re-entering Argentina. Check the current situation with your foreign office or embassy before traveling. Whereas the Argentine side is all about getting up close and personal with the falls, on the Brazilian side you can benefit from full frontal and panoramic views of the cascades. Catch the bus from the Visitor Center to the Path of the Falls. The 1,200 meter trail brings you face-to-face with the 80 meter (262 feet) drop of Devil’s Throat. This is an ideal time for taking photos. There’s also a lift that presents an aerial view of Iguazú Falls in its entirety. As on the Argentine side, you can bring a packed lunch or dine in the food court. Just beware of the groups of coati – a member of the racoon family – that will happily steal your food whilst you enjoy the views. If you are still feeling energetic then the Poço Preto Trail is a 5.5 mile (9 kilometer) walk that leads through the forest to the riverbanks. Ask for a map at the Visitor Center. You can also join a Macuco Safari excursion, which range from boat rides and walks to rafting and fishing trips. Helicopter flights over the park and falls depart from the Visitor Center. It might blow your budget and last for only 10 minutes but it might also be the most spectacular, or only, helicopter ride that you’ll ever make. Find more information on the Helisul website or ask at the tourist information desk. This side of Iguazú Falls is open daily from 9 a.m. to 5 p.m. Check the official Cataratas do Iguacu website for admission fees. The only hotel situated inside the Brazilian side of the fall is the Hotel dos Cataratas. Rooms are set in a colonial mansion and it is possible to see and hear the waterfalls from the restaurants and gardens. For all its beauty, this is not for the budget traveler. Overshadowed by the nearby waterfalls, Puerto Iguazú is a quiet town situated about 11 miles (18 kilometers) from the falls. It is the main transport hub for visitors to Iguazú Falls. Buses from Buenos Aires, Cordoba, Corrientes and Santa Fe, among other destinations, arrive and depart at the town center bus station. For those not splashing out on a room inside the falls’ park, this is also where you’ll find a reasonable concentration of hotels and hostels. The town itself is a neat collection of small streets that spread out from the main thoroughfare of Avenida Victoria Aguirre. To the north of town is the Rio Iguazú, which marks the Argentina-Brazil border, and to the west is the Rio Parana, which marks the Argentina-Paraguay border. At the confluence of the two rivers is the Hito Argentino (Avenida Tres Fronteras). It is worth visiting this monument to say that you have stood at the meeting point of three countries. Should time allow outside of your visit to the waterfalls then there are a couple of interesting sights in Puerto Iguazú. Visit the Mborore Museum (corner of Avenida Brasil and Avenida Misiones) to find a collection of artifacts, including sculptures and coins, relating to the Guaraní Indians. Just southwest of the town center is Güira Oga (Ruta 12 Km 5), a wildlife refuge for rescued animals. Take a guided tour to learn about the rehabilitation of toucan, caiman and birds of prey as well as Capuchin monkeys. After visiting Güira Oga, stop by the Plastic Bottle House (Ruta 12 Km 5), which is a house built using recycled materials. It is a short walk from La Aripuca (Ruta 12 Km 4.5), a house constructed from tree trunks. A small craft market takes place here every day. You’ll find affordable accommodation within a few blocks of the bus station. As it’s hot, most places have swimming pools and provide transport to/from the falls. If there is no transport then simply catch a bus from the main station. Hostel Bambu Mini, Garden Stone and Timbo Posada are all hostels offering dorm rooms from around USD 15 (GBP 10) per night. For additional comfort try Boutique Hotel de la Fonte, Casa Yaguarete or Secret Garden Iguazú. Whilst Iguazú Falls takes top billing, the Misiones countryside surrounding Puerto Iguazú is ideal for outdoor activities. At La Aldea de la Selva Lodge you can tackle the Paseo Jungle (or Jungle Fly), a canopy and zip lining tour through the jungle. Meanwhile, Iguazú Forest organizes combined hiking and bird-spotting trips, and waterfall climbing excursions. If you like to explore on horseback then Cabalgatas Ecologicas arranges three-hour guided rides that pass through the jungle. Similarly, Iguazú Bike Tours will take you deep into the Iryapu forest for wildlife spotting and the chance to learn about the Guaraní culture. Depending on your schedule, you might want to combine a visit to the falls with a trip to San Ignacio Miní. It is home to the ruins of a 17th century Jesuit mission. At its height it was one of the most prosperous missions of the Misiones province. San Ignacio is about 150 miles (243 kilometers) south of Puerto Iguazú. Buses traveling between Posadas and Puerto Iguazú stop on the outskirts of San Ignacio. Travel agencies in Puerto Iguazú operate tours to the ruins that often include a visit to the Wanda, a village famed for its precious gemstone mines. A great review and guide! Really helped me with planning my trip to the falls this November. We are traveling to Iguazu next week and was wondering what typical cab fare from Airport (Argentina side) to hotel near 3 border crossing / center of town should cost. And how much should it cost from our hotel to Iguazu National Park? Our hotel is offering all transportation for 2 days (airport/hotel hotel/park) for US$87 per person. Seems a bit steep. I’m aching for a Brazil trip and if I’ll go there, I’ll make sure I pay a visit to Argentina as well. At least to Buenos Aires. Great guide this is super helpful! Iguazu was amazing, definitely going to have to scribe something about it myself! Great info, going there next year. “Iguazu Falls” is one of most beautiful places in the world. This wonderful place is located near “Tres Fronteras” where Iguazu River enters river of Parana and national borders of Argentina, Basil and Paraguay comes together. 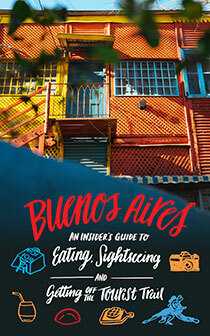 Visitors can enjoy amazing views from Argentinian or Brazilian sides. Unfortunately form Paraguayan side falls cannot be seen. Ones who were lucky and had visited both sides usually disagree which side is more impressive. Travelers trying to reach “Iguazu Falls” from Paraguay usually faces the same problem – how to get there? It is possible to get a bus ticket at some local companies and go to Foz do Iguaçu (town in Brazil) or Puerto Iguazu (town in Argentina). 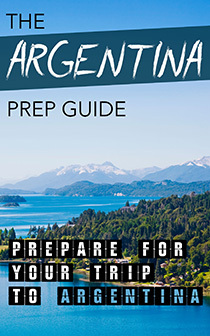 Travelers from Paraguay who are going to choose Argentinian side should take care not only about visa for Argentina, but about visa for Brazil as well. That can be a major problem, especially for those who have to pay for Brazilian visa. For example – for US citizen that visa will cost very close to $ 200. And if you do not have visa for enter into Brazil you will not be able to buy bus ticket to Puerto Iguazu because only way on the bus to get there is thought Brazil. This is so because of Parana River. This river is wide and strong. It makes bridge construction is extremely complicated. There is only one bridge that connects Paraguay an Eastern bank of this river. On the other side of the bridge – Brazil. And buy the way Paraguayan rented cars are not allowed to go over the national border. • So, if you don’t have visa for visiting Brazil, but have visa for Argentina, only way from Paraguay is to take a ferry across river of Parana. In this case you have to be either on foot or with a car, because ferry is way too small for a bus. • This situation was not sweet because in our group were some US citizens who were not much excited about idea to pay about $ 200 for Brazilian just to cross few kilometers gap. We did a bad analysis before booking hotels and so on , but luckily, almost by accident, we find locals who delivers tourist to ferry from Asuncion. They are not well advertised, but if you run into situation like that look for http://www.gotoiguazu.com they will help you out. We were very satisfied and recommending to do the same. The place itself –Iguazu falls is incredible. It’s definitely worth of few days traveling and money you spend. There are possibilities to stay in hotels within the parks of Iguazu on both (Brazilian and Argentinian) sides. But from my personal point of view cost does not worth it. Point is that it takes at least 3 hours to walk around (Argentinian side takes a bit longer than Brazilian) there is no sense to take a rest and do it once again the same day. That is even more important during fall and winter period when day time is much shorter.